Caramel Apples – Using 5lbs Peter’s Caramel Loaf melted with 1lb Merckens White Confectionery coating. ( Sorry, no pictures because they are all gone.) 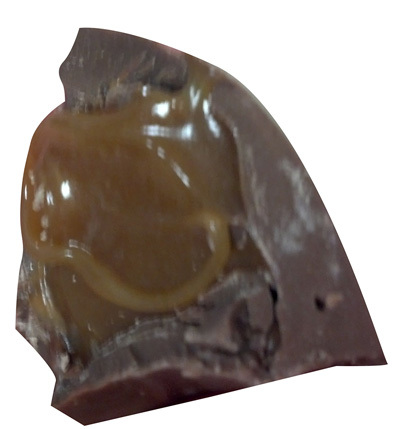 The confectionery coating helped keep the caramel from pulling down off the apple. 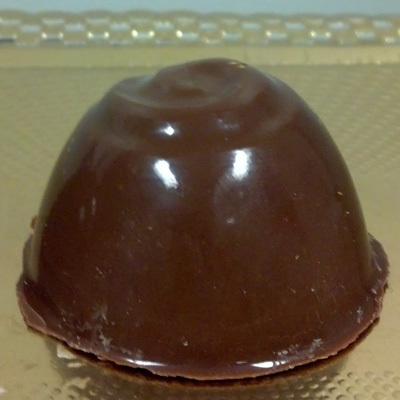 I did not have enough truffle shells made so I made a type of turtle. 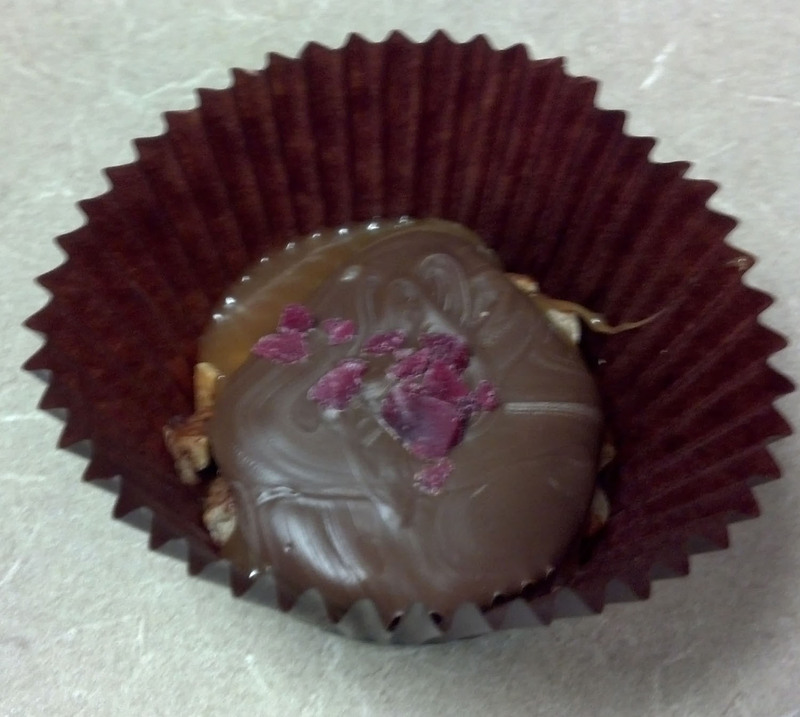 Taking a muffin cup I put pecan pieces, spooned the raspberry caramel on top followed by Marquis milk chocolate and a touch of Boysenberry Crunch on top. I would love to hear about the truffles you are making. What recipes are you using?